First, we heard of the crash. Then we were told that there was no Nigerian onboard. Then we heard that there was one Nigerian, only to learn to our great sorrow that there were two of them and that our egbon and quintessential diplomat, Ambassador Abiodun Olufemi Bashua, was one of the Nigerian victims. Our beloved “Brother Biodun”, as we all fondly refer to him, is no more with us. 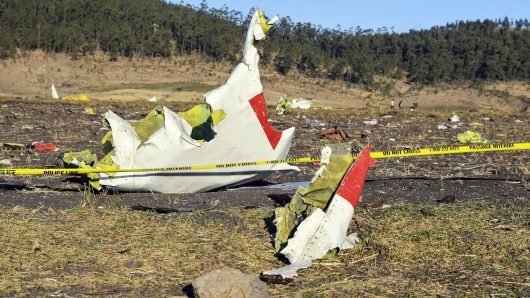 He was one of the victims of the ill-fated Ethiopian Airlines jet that crashed a few minutes after take-off outside Addis Ababa that fateful Sunday, March 10, 2019, a day that will live in infamy. Death came calling, in its usual surreptitious manner, and took Brother Biodun and 156 loving souls. Such is the life of the foreign service officer that very few of our compatriots knew about Ambassador Bashua. Some were even wondering whether he was a Nigerian, until reminded that Bashua is a proud Lagos name. Those who have lived in Surulere, Lagos certainly know of Adisa Bashua Street. For those of us writing this tribute, he was a big brother, a mentor and, above all, a good friend. Ambassador Bashua joined the Nigerian foreign service in 1974 after studying at the University of Lagos and serving in the pioneer set of the National Youth Service Corps (NYSC). He served in Tehran, Iran during the revolution that overthrew Shah Reva Palavi and had a very good understanding of Iran and its proud history, as well as of the Iranian people and the causes of the revolution. Ambassador Bashua went on to serve in Abidjan, Cote d’Ivoire and later on in Vienna, Austria from where he was seconded to serve at the International Atomic Energy Agency, also in that city. It was, however, through his stint at the Ministry of Foreign Affairs headquarters that most of us came to know him. He served in the International Economic Cooperation Directorate under the inimitable Ambassador Ade Adekuoye, fondly called ‘Headmaster’. If Ambassador Adekuoye was Headmaster, Brother Biodun was Senior Prefect. He was then counsellor but related very well with all the first, second and third secretaries serving in the department. He also served as director in the permanent secretary’s office under Ambassador Judith Attah which, in those days, was the powerhouse of the Ministry, especially relating to administrative matters. The junior officers who served with him then testify to his calm, unruffled demeanour in the face of the extreme pressure of work in that Office. Our relationship with Ambassador Bashua was that of a guardian and his wards. He it was who helped us to navigate and make sense of the maze the Ministry was, and still is. For us rookie diplomats then, Brother Biodun was a welcome sight. He was our advisor, confidante, teacher, big brother and, most importantly, a friend. Ambassador Bashua’s leadership was unique in several ways. He guided and mentored junior officers from across the length and breadth of the country, too numerous to mention, including now retired ambassadors. He patiently taught junior officers how to draft diplomatic correspondence, including the all-important Note Verbale. He also taught them the essence of diplomacy, patience, tact, and discernment, which were essential prerequisites for successful negotiations. Above all, he insisted on self-improvement and thinking analytically. Brother Biodun was so bright that he was one of the few senior officers at that time to gain admission to the Harvard MPA programme on his own merits. He was unable to go mainly due to financial constraints but he polished his knowledge through extensive reading and application of the mind to professional situations and challenges. Such was his versatility that after he joined the United Nations, he worked in agencies with very different and quite complicated mandates, like the International Atomic Energy Agency, the United Nations Framework Convention on Climate Change, and in various peacekeeping assignments. He became a talented multilateralist, well-respected by his peers and colleagues. He jaw-jawed with warlords in Sierra Leone and parlayed with Janjaweed militias in Darfur. Notably, he rose to become the deputy joint representative of the United Nations (UN) and African Union (AU) in Darfur, Sudan, from where he retired. He was much admired and in such great demand by UN and AU authorities that he was often called upon to assist in several assignments after retirement. Indeed, it was on one of such that he perished. Brother Biodun was not just a distinguished Nigerian diplomat, he was a diplomat of global reckoning, a peacemaker and a peacekeeper. For those of us penning this piece in his honour, Brother Biodun was special because whenever he came to headquarters while still in active service, he would bring us together for a social evening in which the discussion was always serious and centred around recent developments in the domestic and international arena. There was never a dull moment with him, as he was extremely humorous and able to douse tensions through witty remarks. He was a good man, and he will be sorely missed. We commiserate with his wife and children, the immediate and extended Bashua family, his former colleagues in the Nigerian foreign service, in the United Nations system, at the African Union, and across the globe. A fitting tribute to his memory is the continuous search, through robust and effective diplomacy, for a peaceful and just world, to which he dedicated his entire life. Akin Fayomi, Yemi Dipeolu and Ayo Olukanni are diplomats and retired career ambassadors of Nigeria.